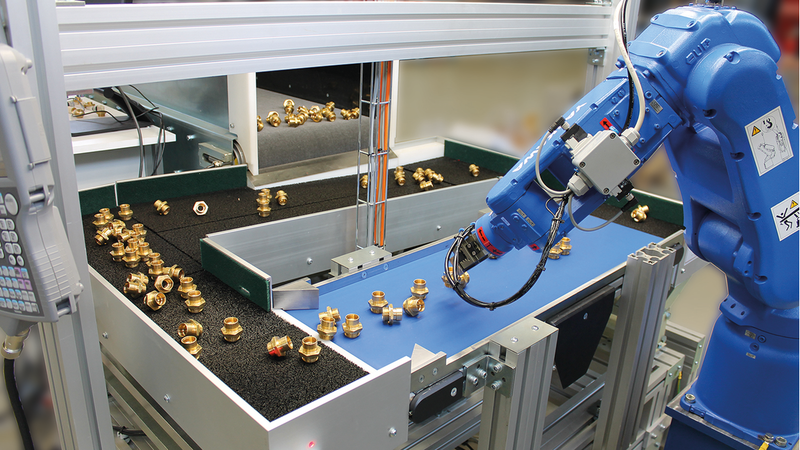 The DG Robot Feeder 501 is a compact solution for small components between 1 to 70 mm. Robot feeder is designed for flexible and precise feeding of all kinds of components . It is a smart and smooth handling system which is compatible with different types of robot systems. The system effectively separates, moves and positions components that are identified by the guiding vision system. The DG Robot Feeder is a cost-efficient, durable and sustainable solution well-applied for machine tending. The ideal choice for handling many kinds of components.